Badulla is a very special place for Vernon and Monica Corea. 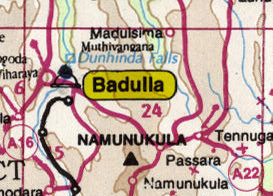 Badulla is the capital of the province of Uva, on the island of Sri Lanka, 54 m. S. E. of Kandy. It is the seat of a government agent and district judge, besides minor courts. It was in Kandyan times the home of a Sri Lankan prince who ruled Uva as a principality. Badulla stands 2222 ft. above sea-level, it is a very beautiful town in Sri Lanka surrounded by mountains. Vernon had arrived back from India after the death of his mother Ouida in 1952. He wanted a change of scene. An invitation to teach in Uva College Badulla was extended to Vernon by the Vice-Principal of the College. Vernon taught English. Canon Ivan Corea's close friend, the Reverend Felix Dias-Abeysinghe was Vicar at St.Mark's Church in Badulla.St.Mark's(Church of Ceylon) is a picturesque church set in the hill country of Sri Lanka. It was at St.Mark's Church that Vernon met his wife Monica who sang in the Christmas Service. Monica was also a teacher at Uva College. Her late father, Simon Silva was at one time Vice-Principal of Uva College, he was a top educationist from Badulla. 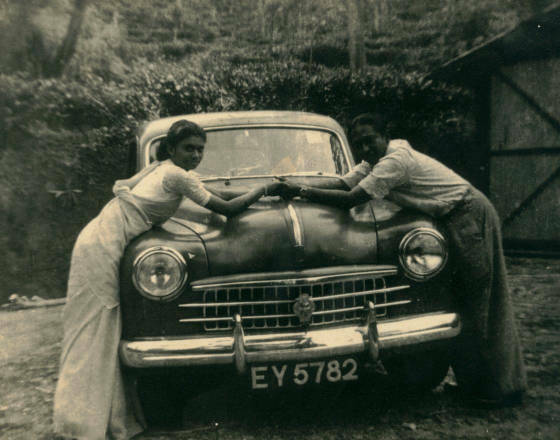 Monica's uncle owned the popular photographic studio in Badulla town. 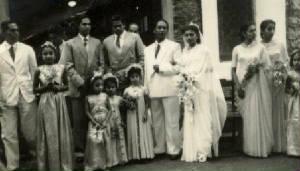 Vernon and Monica were married on 4th February 1954 and the newly weds lived in Monica's home at 28 Lower King Street in Badulla. Sadly their first born Harishchandra died in 1956 and was buried at St.Mark's Church in Badulla. 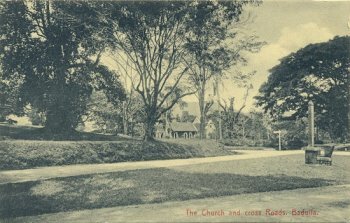 Vernon and Monica decided to move to the capital city, Colombo and settled in the Vicarage at the historic place of worship - St.Paul's Church in Milagiriya where Canon Ivan Corea was Vicar.